Learning a new language put you in an advantage that few have. If you learn a new language that will put you in an advantage in your personal and your business life. Learning how to write or type Hindi means that you can be over all literate in the language and be able to easily navigate your way through India and through other social and professional situations. Speaking a language is one thing but being able to read write and type put you in an advantage that few have mastered. In your professional life, knowing another language can be an advantage. With the increased use of technology, applying for a job has become more competitive than ever. Many companies are operating here and also overseas which makes add more of a global marketplace. Knowing an additional language puts you ahead of other candidates that may be applying for a similar position. Hindi is the fourth most spoken language in the world. The only three languages more spoken than Hindi or Chinese being number one, Spanish to English. One thing is if you learn how to speak Hindi that you will be able to communicate also with people that speak Urdu. The written words are different between Hindi and Urdu because the alphabet is different, I another minor difference is that Hindi has more vocabulary from Sanskrit and Urdu who has more vocabulary from Persian, but overall about 80% of the spoken language is the same. can I learn Hindi typing at home can be easy. So this will open up the door to more communication with people not only from India, but also from Pakistan. It has over 400 million people speaking Hindi as their native language and another 200 million people speaking Hindi as a second language. Learning how to type Hindi online is a valuable skill. Hindi as a written language is written from left to right so it is the same as English in the directions that you would write and read it. you can use your current keyboard on your computer to type Hindi just by downloading some software. One of the ways that Hindi differs from English is that there is no differentiation between upper and lowercase letters. also with a very slight change in the written word there can be a completely different meaning. Many people wonder can I learn Hindi at home another way that Hindi differs from English is that all the letters written are pronounced as they’re written for example there are no silent letters. One of the best things about learning Hindi online is that you are able to go on and learn at your own pace. There are many online programs as well as apps that help you to learn Hindi. In 1949 he became the official language of India meaning that all children in school should take Hindi as a language also all government and official business will be conducted in Hindi including but not limited to hospitals, businesses, restaurants and street signs. The best way to start off learning Hindi is to learn basic phrases and sentences that you will use in conversation. can I learn Hindi typing at home after learning the basics, you can move on to learning other words that you can work into speaking. You should also learn the letter sounds. 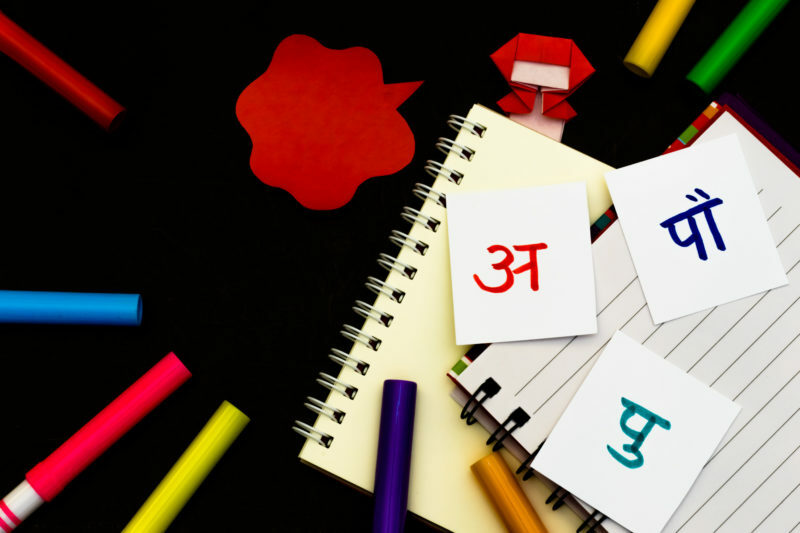 Hindi is made up of 46 letters, which includes 11 vowels and 35 consonants. Once you learn the letters you will be able to start connecting the letters and reading words. Once you can read words. This will help you navigate your way as a tourist around India. You can also start practicing what you have learned. Hindi is spoken in other places besides India, including but not limited to Trinidad and Tobago, Nepal and Mauritius. There are native Hindi speakers all over the world. They live in Canada, United States and also Australia, as well as in various parts of Asia and Europe. Some sites have printable vocabulary lists. These lists can help you because you can print it out and refer to it, when needed. Also you can make flashcards, with common words such as Hello, Goodbye, Please, Thank You, etc… these will help you when speaking to others. Another helpful tip, is to go on the sites that have the Hindi words written in English, sites that have the Hindi words, written not only in Hindi, but with a picture of the item, and English transliteration will help you memorize the word faster. Some sites also have quizzes that can keep track of your progress. We know that learning a new language may seem a bit overwhelming, but with a little bit of focus and dedication to learning each day, you will start to make progress. Learning to type will help you communicate with people who you would otherwise not be able to communicate with. Learning Hindi can open you up to a whole new rich culture. The culture of India, is unlike others, because it is a country that has been around for many many years, and they have beautiful people, clothing and heritage. Also their spiritual practices, also Yoga, has been embraced by many people throughout the world. So getting back to typing, the placement of your hands are supposed to be the same as you would place your hands when typing English. So your left hand starting at the pinky, would be on the a, then your left ring finger would be on the s, your middle finger would be on the d, and your left pointer finger would be on the f. For the right hand, your pointer finger j, your middle finger would be on the k, your right ring finger would be on the l and your right pinky finger would be on the l, this allows for you to access all the keys in a timely manner.